Our schools in Argentina offer high quality Spanish courses for anyone interested in learning Spanish in Latin America, with a maximum of 10 students per class. As well as Spanish language courses, our schools in Argentina can arrange volunteer work and work placements. With its wide streets, beautiful parks, and stylish shops, the cosmpolitan city of Buenos Aires is often called the 'Paris of South America'. Here the porteños (locals) are friendly and visitors are warmly welcomed. This is one of those 'unique', very special cities, that simply has to be experienced. Most visitors fall in love with Buenos Aires. No stay is long enough! Our two schools in Buenos Aires are located in the 'Downtown' area of the city. As well as standard Spanish courses, students at our school in Buenos Aires can also attend the 'Spanish and Tango' courses combining 20 Spanish lessons per week with 10 Tango lessons. Fly to Buenos Aires. Airport transfers available within Buenos Aires. Onward flights to Cordoba, Bariloche, Ushuaia. This beautiful and historical city lies in the heart of Argentina. Our school is located in the centre of Cordoba, just 5 minutes from the Main Square. The school has well-equipped classrooms and a student cafeteria. 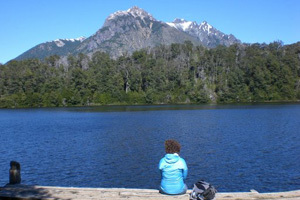 Bariloche lies at the very foot of the Andes. Our modern well-equipped school, built out of wood, in traditional style, is located in the centre of Bariloche, with spectacular views of the mountains. As the southernmost city on the planet, Ushuaia is known as the end of the world. 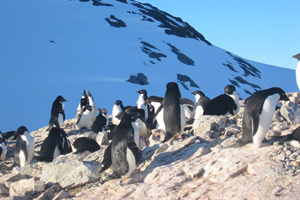 This is an area of spectacular scenery, penguin colonies and beautiful sunrises!